Volunteer Days are over for 2016, but you can help make back-to-school cool throughout the year! Last Wednesday, a volunteer placed the final Project Cool backpack into a case manager’s van and I began to reflect on this year’s Project Cool Volunteer Days. As we transition to the next phase of Project Cool, I am able to appreciate Project’s Cool full year cycle and the breadth of people and communities the program touches. We have enjoyed each Project Cool volunteer day, and I feel lucky to have organized, packed and inventoried supplies alongside such fantastic volunteers! As we look forward to the next few months and connecting to community members through supply drives (want to host one where you work or play? Contact Hillary – hillary[at]homelessinfo[dot]org), we know that 1,417 colorful backpacks will enter the first days of school swung over the shoulders of students ranging from Pre-K to 12th grade. 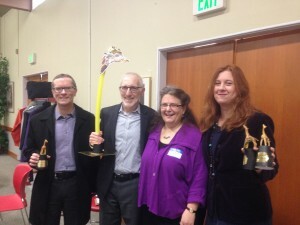 Having only joined the Seattle/King County Coalition on Homelessness a few weeks ago, I entered my first volunteer day with enthusiasm, excitement, and a bit of nervous anticipation of the amount of work to be accomplished in just a week. I could not wait to see the weeks of donation and volunteer coordination I had supported, as well as the year-long effort Hillary and Julia contributed to Project Cool, come to bloom! My expectations were surpassed and my qualms eased by the awesome volunteers that arrived with enthusiasm for each shift. I feel hopeful for the future of the children that Project Cool serves after discussing many volunteers’ commitment to ending homelessness. Over the past week I learned more fully how raising a child can require mobilization from an entire community. 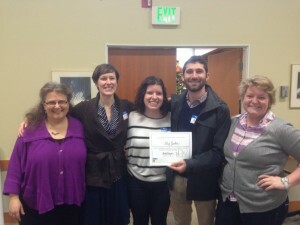 Participants demonstrated how volunteering quickly builds community amongst initial strangers. Participants bonded over their passion for service to form productive, fun work teams. For many of these supporters, Project Cool has become a cherished tradition. Some volunteers even shared their experiences supporting Project Cool for up to 9 years (thank you, Hunskor family!). Project Cool volunteers illuminated many reasons that can inspire someone to donate their time and resources. A few volunteers shared their own backgrounds experiencing homelessness and understood firsthand the difference a Project Cool backpack can make. One mother shared with volunteers that her own children had received free school supplies while growing up and so she wanted to support other parents preparing their children for the school year. Organizing supply drives are fun and have lots of room for creativity! You know your community best and how to most effectively to elicit donations — whether it is placing a box at your local community center or going door to door. 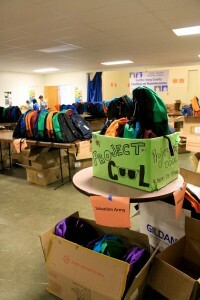 Here is a helpful brochure on what to donate: Project Cool Supply Drive Flyer (with Wish List). Monetary donations are important and appreciated! All contributions make a significant difference in packing backpacks with the best quality school and dental supplies for students experiencing homelessness. You can donate today on our secure website and dedicate your donation to the work of Project Cool. Heading to the dentist before the school year starts? Consider bringing in this Dentist Letter that asks for toothpaste, toothbrushes and floss donations. ‘Like’ Project Cool on Facebook to stay updated on Project Cool throughout the year, and invite friends and family to do the same. The more people that are connected to our social media, the easier it is to spread the word about awesome Coalition happenings! Volunteer next summer: This year’s Project Cool Volunteer Days are coming to a close but consider volunteering next summer! Stay tuned about when volunteer signups are available by receiving our Friends of Project Cool e-mails. What’s next for the Coalition’s work in supporting homeless students? As part of our year-round advocacy, we host an annual Helping Homeless Students training for case managers, school employees, advocates, and community members to learn about homeless students’ educational rights. This training is coming up on Wednesday, August 24 at 9 a.m. at Highline High School. Registration is required, so sign up today. Project Cool 2015 is in full swing! Learn about easy ways to get involved, and mark your calendar for Volunteer Days. This is an exciting time of year: flowers are blooming, days are longer, and Project Cool for Back-to-School is in full swing!!! 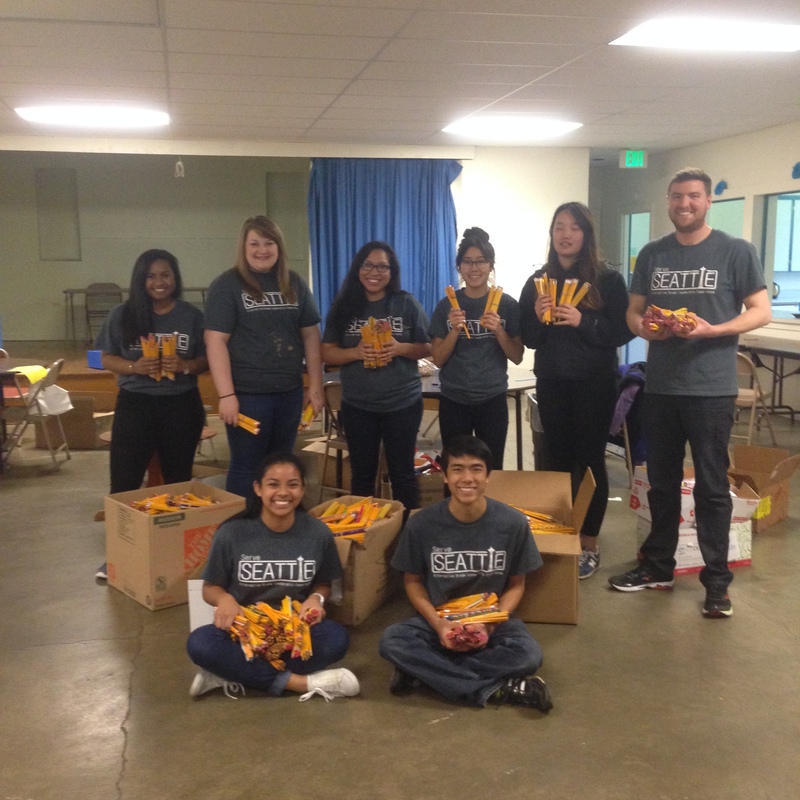 Two weeks ago a group of students from Concordia University in Portland finished their week of service with Project Cool sorting and counting supplies to get ready for summer volunteer days. See below for more. I have been waiting for Project Cool since I joined the Coalition back in September and am so excited it is finally here. The work to make sure that students start off the school year with a new backpack and school supplies, just like their peers, is very important and further enhanced by the Understanding Homeless Students’ Educational Rights guide that each student receives. I know that Project Cool would not be possible without the support, work, and some sweat while stuffing backpacks of our awesome Coalition supporters and volunteers and I’m looking forward to working with you this year. Ready to get involved? see how below! Supply Drives. Now is a great time to start your own supply drive, and encourage others to do the same. You can use this Project Cool Supply Drive Flyer (with Wish List). Contact me if you’d like a tailored flyer. We hope you have fun with them, too — there are so many ways to be creative and think outside the box. For example, Northwest Honkers Baseball is set up to ask their game day patrons to donate school supplies in lieu of a gate fee during summer games. RSVP to let me know if you can host a supply drive in the Spring or Fall. Dental Donations. We need your help to reach out to Dentists for floss, toothbrush, and toothpaste donations. Do you have an upcoming dentist appointment, or is there a nearby dentist office in your community? Use our Dentist Letter to ask your personal or local dentist to donate supplies to Project Cool. Encourage your work, community group, bank, or faith organization to become a Project Cool Sponsor. Reach out to me to get more information. ‘Like’ Project Cool on Facebook, invite your friends to do the same, and share posts to boost our reach online. Every action makes a big impact. Sign up for Volunteer Days: Monday, July 13 – Sunday, July 19. 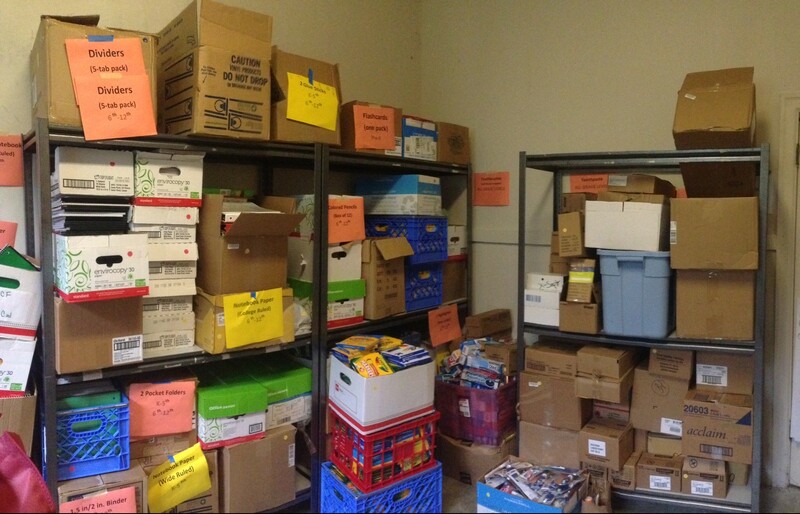 Volunteers have fun counting, sorting, and organizing supplies to fill backpacks for distribution. We’d love your help, and we welcome groups! Sign up for a volunteer shift on our website and email me if you would like to arrange a group. Thank You Students from Concordia University’s Alternative Break Leadership Experiences for an awesome day of service! After a week of service work at Union Gospel Mission, Urban Rest Stop, and Operation Nightwatch, a group of six students and two leaders focusing on serving and and learning about homelessness, hunger, and youth poverty came to the Church of Hope to help sort donated supplies for Project Cool. They worked with determination and we shared in conversation about their time in Seattle and what they had been learning. Our new friends not only sorted and counted supplies, but also assembled new shelves! If any of you have volunteered with Project Cool in the Church of Hope and seen our supply closet, you may know that it was definitely in need of shelves to help store donations. Look how organized the space is now! It brought smiles to Staff’s faces to see items neatly sorted. This group of students is really special, they are going to make a difference in the world and I am fortunate we had the opportunity to work together and learn from one another. When 1pm rolled around, our end time, the group was full into bundling and counting pencils and I said they could be done; they responded, “no”! With determination they sorted every last pencil, a great example of knowing that their time can make a positive difference. Thank you. I will leave you with a few inspiring quotes that group members wrote on advocacy postcards after their hard (and extended) day’s work. I hope to see you at volunteer days this July! HOW DID START OF SCHOOL GO FOR MCKINNEY-VENTO STUDENTS? In Seattle, had students who didn’t go the first 2 days of school because of this. Others said the first two days of school had VERY fast turn-around re: paperwork, but slowed significantly after that. Case Manager said she went above and beyond to verify and confirm – multiple times – that the orders were correct. And still, these delays happened. She even had a taxi with incorrect orders and wouldn’t take the student to the correct school! In West Seattle, it took one week to get a bus to pick up a student. Parent said middle-school aged son was marked down in class because he didn’t have correct school supplies. The teacher didn’t know he was McK-V student. KS worked with Child Care Resources to get supplies, and to report to principal and work with teacher. School doesn’t seem to understand that they’re ‘on the hook’ to do better. And Jr. high and HS is very challenging because there are so many more teachers. Parent shared that her other child is being pulled out of SpEd by the school. This doesn’t make sense since her child is visually impaired. Sacred Heart said things went really well. They met with families earlier than normal, and that was a big help. DATA – there’s such a focus on quantitative, but where’s qualitative. And how do we ensure that happens? Idea for FWC to organize around this as combined we have huge amounts of rich experience w/I organizations and families served. re: RRH: feels like there are high expectations, and there’s a reality of the affordability of housing. Not easy, not quick process. Landlords aren’t exactly on-tap. REFERRAL PROCESS: many involved in the Pilot said they have empty units, and are loosing money. Families are being referred that don’t actually qualify. RRH – after the pilot is over: what modifications do we suggest, and how can we work to follow up. Discussion about how and when evaluation is conducted. EVALUATION: want to truly understand what this means, when it happens, what’s involved, who does it, etc. DEFINITION OF SUCCESS: what is the definition, who defines it, is it open to suggestion, and in what ways does it differ from our organizations’ definition of success? Who’s involved in the committees, subcommittees, participating agencies, etc. Who is the audience of each of the FHI, CEH, FWC mtgs? Who has influence? And to what degree? 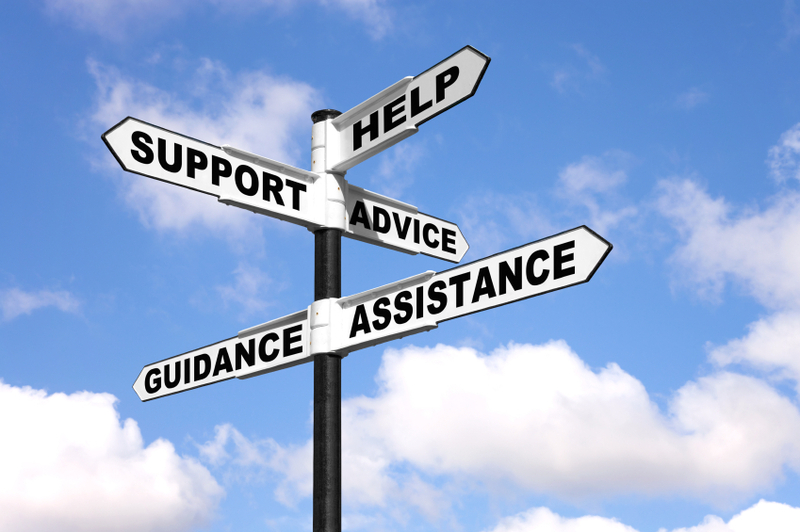 Families who have voice – how does FHI reach out to them, and where can others input? Focused guiding questions are very helpful, but don’t need handouts early. Funders: taking a backseat would be helpful, and make sure that they are clear on focus of meeting. Request for built-in structural parameters of what’s being facilitated, and who is facilitating. In lieu of the regularly-scheduled November FWC meeting, please mark your calendars and plan to attend the November 6 community meeting on Family Coordinated Entry. The consultants contracted to review our community’s coordinated entry for families – Katharine Gale and Kate Bristol (Focus Strategies) – will review their findings, present information on other system models, and facilitate dialogue around key challenges. 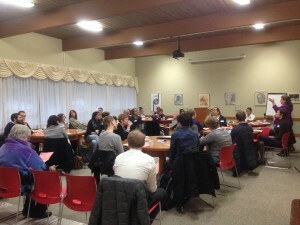 This is an open meeting for all, not just organizations who participated in the Pilot project. Your presense, comments, and feedback are important — join us! We had such a great turnout at our “Helping Homeless Students: McKinney-Vento 101” workshop on August 26, 2014, and we hope you found the topic just as engaging and informative as we do. As promised, here is a list of resources our wonderful presenter, Katara Jordan from Columbia Legal Services, put together to navigate common hurdles that prevent homeless students and their families from accessing the valuable services they need to get to and stay in school. Tuesday, August 26, 9.00 – 11.15 a.m. The Coalition’s “Helping Homeless Students: McKinney-Vento 101” workshop is designed for school staff, nurses, and case managers to provide an overview of educational rights and common issues for homeless students. Presented by Katara Jordan, attorney with Columbia Legal Services, this workshop will introduce the federal McKinney-Vento Homelessness Assistance Act, which promotes educational stability, school access, support for academic success, and child-centered decision-making for homeless youth, children, and families. In addition to providing a better understanding of the law, we intend this workshop to serve as a timely, informative, and collaborative platform between school staff and community-based case managers to work together effectively to support homeless students and their families. We’ll cover the basics, and address common thorny issues related to enrollment and transportation; working with unaccompanied youth; and participation in after-school activities. Together we’ll problem-solve and share ideas and strategies for back-to-school and throughout the school year. By the time you leave the training, you should have both a solid understanding of the McKinney-Vento Homelessness Assistance Act, and valuable sources of information and professional resources to turn to within your local community, your school district, in Washington, and nationally to aid in your work to reach homeless youth at schools. We are excited to bring staff from Coalition member agencies together with local public school staff to learn about the educational rights of homeless students, and how to support them at the start of the new school year. Please help us spread the word, and register today! Note: Registration priority will be given to Coalition members and staff at local public schools. Our Families with Children (FWC) Committee held a Resource Share at their July 23 meeting. Why? Because committee members bring incredible skills, experience, and knowledge to the table each time they meet. Resource shares are a good way to problem-solve and brainstorm, as well as share new (or forgotten) information. Child Care Resources (CCR): CCR’s homeless subsidy program to cover all costs of any licensed child care provider, financial assistance program for suburban cities (including Bellevue, Renton, Kent) – these programs are designed to help families who are not eligible for DSHS services. Additionally, CCR’s information and referral line is helpful for staff and families. Call 1-800-446-1114 to speak with staff who can help families locate licensed childcare providers that meet their specific needs/criteria. They can also do a free search online (click the register button to begin a search if not already a user). City of Seattle Child Care program – this program does not currently have a waitlist; parents in school (and not working) are eligible; the program will pay for ESL classes; great long-term solution, but program only pays partial cost. Basic Food Employment and Training (BFET) – Families who receive Basic Food Assistance (SNAP) are eligible for this program. It also applies to folks who attend any community or technical college in Washington State, and partners with Farestart and Goodwill programs. Even if the program runs out of money at each quarter, parents can still get assistance with childcare. Families receiving Temporary Assistance for Needy Families (TANF) are ineligible for this program. Public Health – Kids Plus – Kids plus is a program that meets the unique needs of families who are referred by connecting them to a Kids plus case manager who can provide linkages to a variety of services (housing, mental health, physical health, etc. for parents and children). 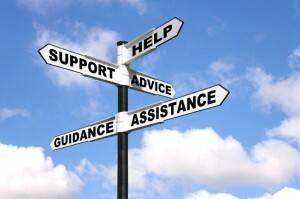 Staff are well connected and highly knowledgeable of available resources and services. The workers meet with families where they are at and have an ongoing relationship with the families. Contact them directly for a referral sheet that you can use to refer your families as needed. Atlantic Street Center – Atlantic Street Center offers a variety of programs. As part of The Family Center, families in Central and South Seattle can get up to 45 diapers per month per child! In addition: The Family Center provides a multitude of free classes and services that help nurture, develop and celebrate family life. Activities include parent education classes, instruction for students learning English, preparation for the US citizenship exam, life skills classes, parent support groups for parents of all ages, physical fitness activities, and cultural events and celebrations. The Atlantic Street Family Center also offers a family support worker who counsels and aids families with challenges they may be facing. Families are encouraged to help with planning services so that the activities offered can best meet participants’ needs. Check out the Family Support page for more details. Parent Trust for Washington Children – Marni Port (Child and Teen Services Manger) is a great resource. Talk to her about child development, and stress management and relaxation training for children, teens, families, and to bring to your programs! Bellevue LifeSpring – This is a great service for Eastsiders re: rental assistance, food, basic needs, utilities, etc. Call 425.451.1175! Sophia Latino (Hopelink) created this incredible East King County Financial Assistance List re: financial assistance, eviction prevention, and moving assistance resources. Rebecca Valderrama (HealthPoint) shared this Dental Resources list re: dental options for adults in King County. As a reminder: even though adult dental access is back in Washington, many people are unaware, or simply (and understandably!) don’t know how access services. StoryCorps is in town and looking for people to share their stories/experiences of family homelessness. The highlight of the Coalition’s July General Membership Meeting was a screening and discussion of American Refugees, a short-film project of Seattle University Project on Family Homelessness and the Gates Foundation. The four animated shorts document the experience of family homelessness, and resiliency, and can be used to encourage people to challenge stereotypes of homelessness, and become more aware of the breadth and depth of this crisis. The Families with Children committee will not meet in August as the Coalition will be hosting it’s annual Helping Homeless Students: McKinney-Vento 101 training that week. The next committee meeting will be on Wednesday, September 24 from 9:30-11:30 a.m.. See you then at the E. Cherry YWCA (2820 E. Cherry Street, Seattle WA 98144).